James son and daughter BOB & BOS in Brno cacib. 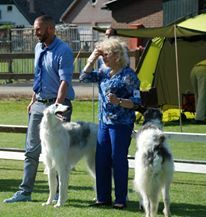 Brno cacib show - Great succes for two James children. Legend of the Golden Rain Mary Countess cac/cacib/bob/BIG2 and her brother Sir Jeremy cac/cacib/bos. Congratulations to owner and breeder. Our 3rd American champion - "Nolan"
What a wonderful news: My boy in the USA Redglen Billionaire at StripPoker (Ch. Sobers Millionaire at StripPoker x Ch. Redglen Vera Wang) owned his breeders Harold Tatro & Denise Tatro and Tony Groenendijk won Winners Dog today at the Texarkana KC show for a 5 POINT major under judge Mrs. Polly Smith! And is now AMERICAN CHAMPION - Nolan is not quite 10 months old. 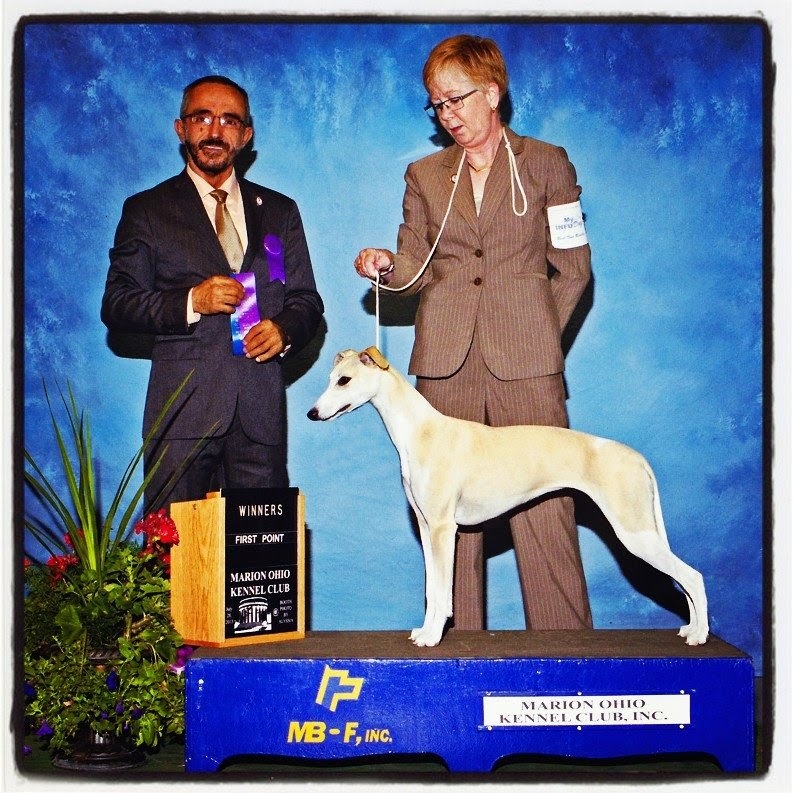 Wooohooooo so PROUD - This is the 3rd American champion Whippet owned by StripPoker. And very happy to post this picture of another beautiful James granddaughter - Abraxas Brandy Alexandra bred and owned by Rebecca Zaun. 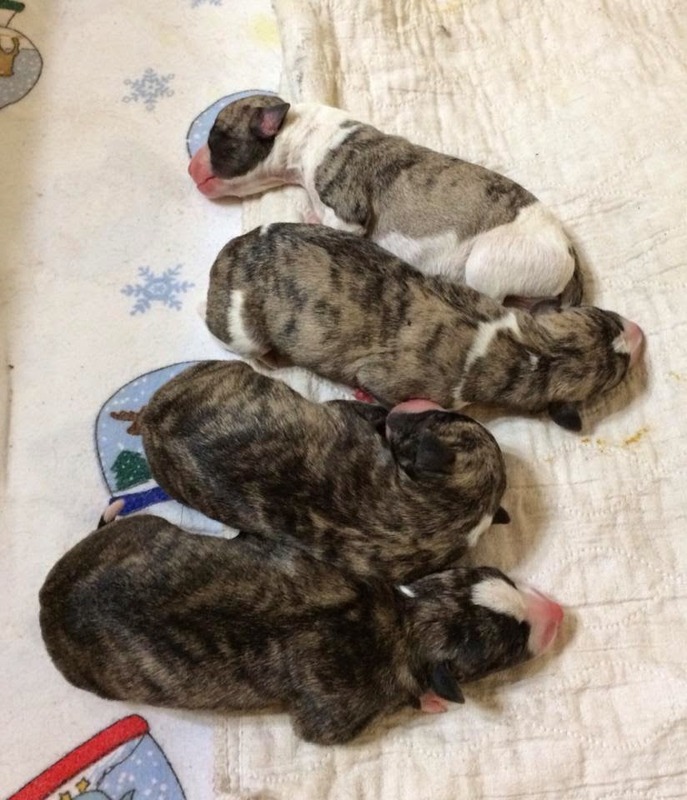 Her sire is James son Ch. Charlamar's And The Winner Is and her dam is Timbreblue Abraxas Mocha Martini. So proud that also the next generation with James as grandsire is looking beautiful. 20 years ago Arie and Tony started breeding Chinese cresteds and imported two dogs from the UK, Ch. Moonswift Candle in the Wind and Ch. Moonswift Circus Pony both dogs can be found in many pedigrees. When we saw the lovely litter bred by Didier Mohy we could not resist it anymore and choose the beautiful little PP girl Sylvie to come to live with us. Sylvie looks very promising at the moment and hope she will mature into a nice PP lady. 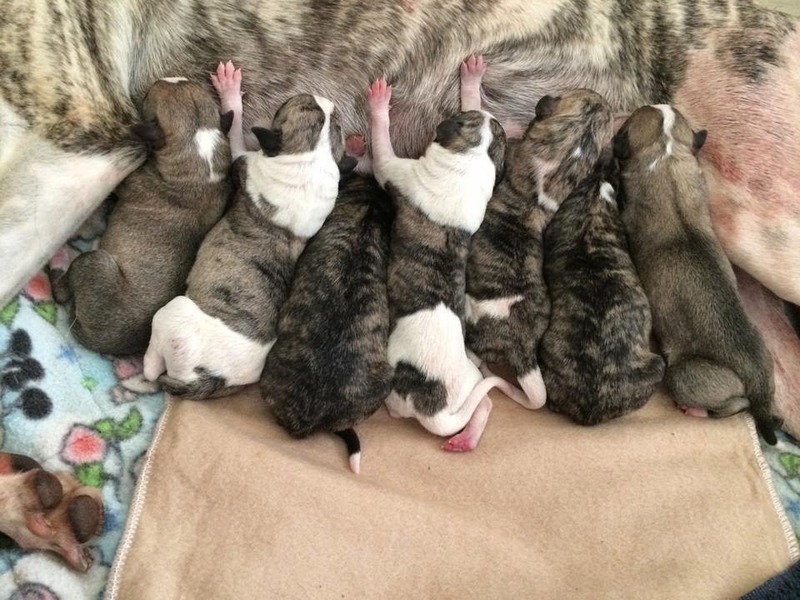 Very pleased to announce the arrival of 7 beautiful babies (4 boys 3 girls) sired by Spencer - GCH DC NL JCh Sober's Millionaire At Strip Poker BN RN SC out of Claire - Am Ch Appraxin Lonestar's Moment of Clarity. 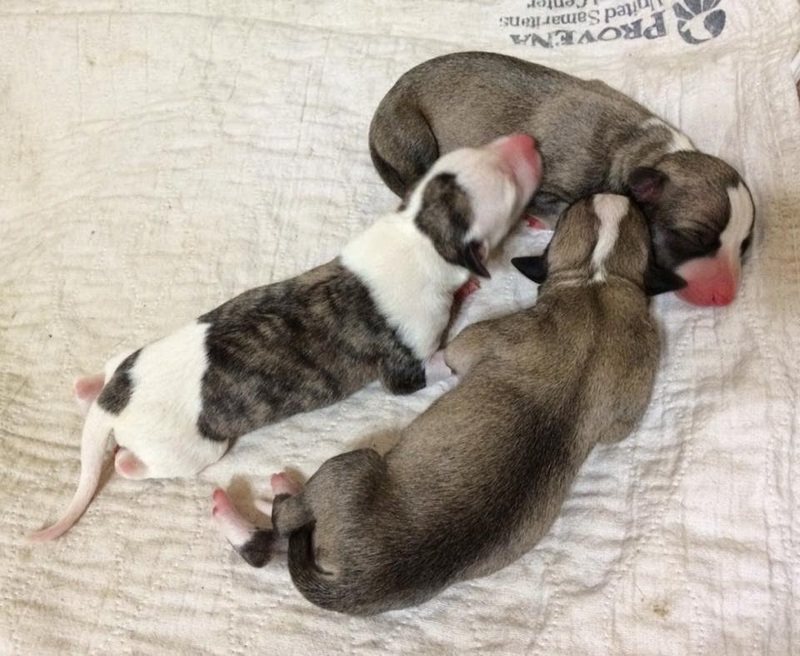 Breeder Lisa Hazen Martin, USA.